It has to be said that AWeber is a pretty great tool. It’s been my email marketing service of choice for the past few years, and that’s mainly down to their excellent deliverability rates. AWeber isn’t so great when you want to go a little “out of the box” with your marketing & start getting a bit more advanced by doing things like separating your buyers from your prospects. Thankfully albeit long-winded, there IS a way to separate your buyers from your prospects in AWeber… and you’ll find out exactly how you can do it below. But first, for those of you who aren’t already doing it, or haven’t even thought about doing it – I want to explain why keeping these 2 groups of people separate is so important. The answer to this is pretty straight forward – buyers are important, they are the people who are paying you and they are the people who are keeping your business afloat… Without them, you probably wouldn’t have a business – so they deserve to be treat with more respect. And another good reason you want to separate them is simply so that you can thank them… Gratitude goes a long way, even as a business owner. It’s ultimately all about building a better relationship with your buyers, in order to be able to upsell to them & to get their repeat custom down the line. And also as a buyer, the emails you send out to your prospects list are no longer relevant to them… They’ve made the purchase so they’re no longer interested in your sales pitch meaning they’re either going to unsubscribe or even worse… they’ll mark you as spam 😱. It comes without saying the last thing you want to do is lose your subscribers that are willing to whip out their wallet and buy whatever it is that you’re offering. So make sure you don’t lose them… go ahead & separate them instead. Hopefully now you understand the importance of WHY you need to separate them, so we’ll now move onto HOW you can separate them. 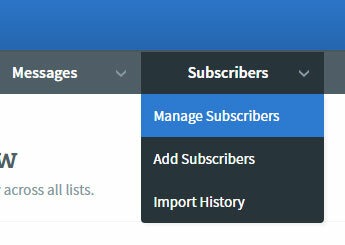 First and foremost you’re going to want to login to your AWeber account & choose “Manage Subscribers” from the “Subscribers” menu on the top navigation bar (as shown in the image below). Next you’ll need to manually find your buyers, and this will have to be done 1 by 1… So it’ll be an on-going process of moving subscribers as and when they make a purchase (yep I know – AWeber doesn’t make life easy… but hey ho, good deliverability remember). 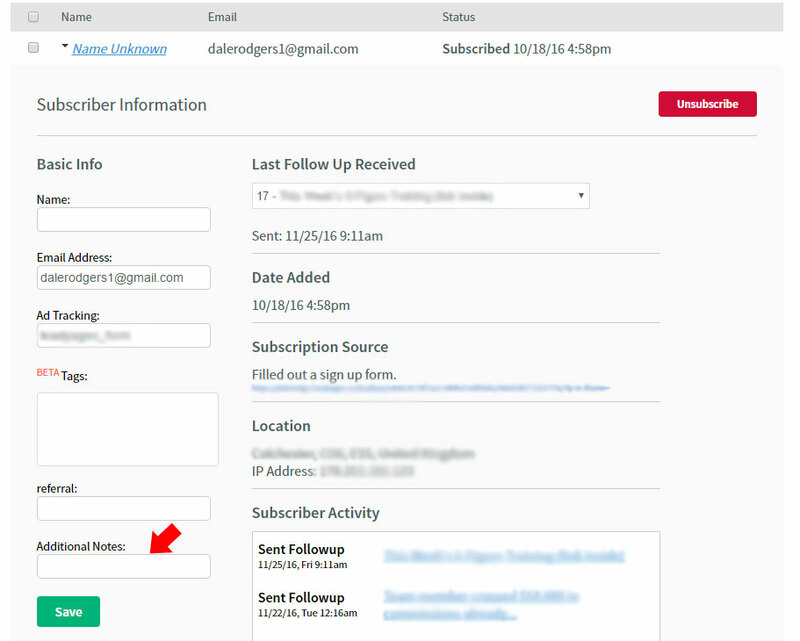 As per the image below – set up your search to look for an “Email” that “Contains” the email address of the buyer. The bit that we are interested in on this page is the “Additional Notes” field, as this is what’s going to allow us to segment this person as a buyer. 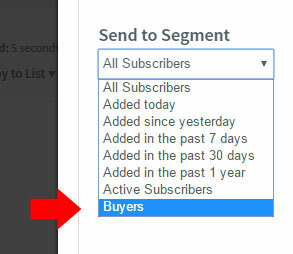 So now that we’ve marked our subscriber as a “Buyer”, we need to create a buyers Segment so that we can send broadcasts directly to all (and only) the subscribers that have this note in their Additional Notes field. The search criteria this time is where “Additional Notes” IS “Buyer”. Once you’ve entered that, hit the search button and you’ll be shown a list of all your buyers. We now need to save this as a Segment, which is super easy. After running the search you’ll see a box appear just under the criteria entitled “Save as Segment”… Simply enter an appropriate name (i.e. Buyers), and then hit Save. You can then repeat the process to create a Segment specifically for your prospects. All you would need to do is create another criteria which would read where “Additional Notes” IS NOT “Buyer”. Again after running the search simply save it as something appropriate (i.e. Prospects) and hit save. Once you have your segments created you are good to go – you now have the ability to send broadcasts directly to either your Prospects, or your Buyers… and you can also target your Follow Up Sequences in the exact same way. 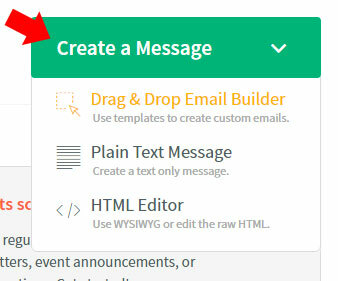 From your AWeber dashboard click on “Create a Message” as you would normally if you were going to send a broadcast email out to your list. After clicking that you’ll be taken to the editor where you can compose the message that you wish to send to either your Buyers or your Prospects. Once you’ve finishing composing your message hit “Save & Exit” and you’ll be redirected to your Drafts. 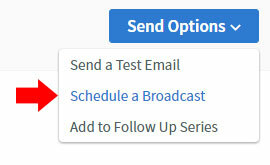 Next to the email that you’ve just put together, click “Send Options” and then click “Schedule a Broadcast”. This will open a new window where you can edit the settings for your broadcast. The important part that we’re looking for on this page is the bit that says “Who should receive this message?”. By default this is usually set to All Subscribers, but we’ve just created our own custom Segment so we can go in and alter this accordingly depending on who we want to send this email too. Hit Apply, hit Send & boom you’ve just sent an email directly to only your Buyers. Great job! …and of course it doesn’t end there – you could ultimately add as many differently “Additional Notes” as you like and create as many different Segments as you like too to get maximum targeting out of your campaigns.